We have a well-computerized library with more than 2,000 volumes of books and a good number of journals and periodicals are subscribed for the benefit of the students and staff. The Reference Section has a variety of standard encyclopedias, dictionaries, well known story books, biographies, books with moral anecdotes, civic and social sense illustrated books apart from subject reference books, standard magazines, journals and leading newspapers, periodicals and standard reference books on almost all topics at the school level. 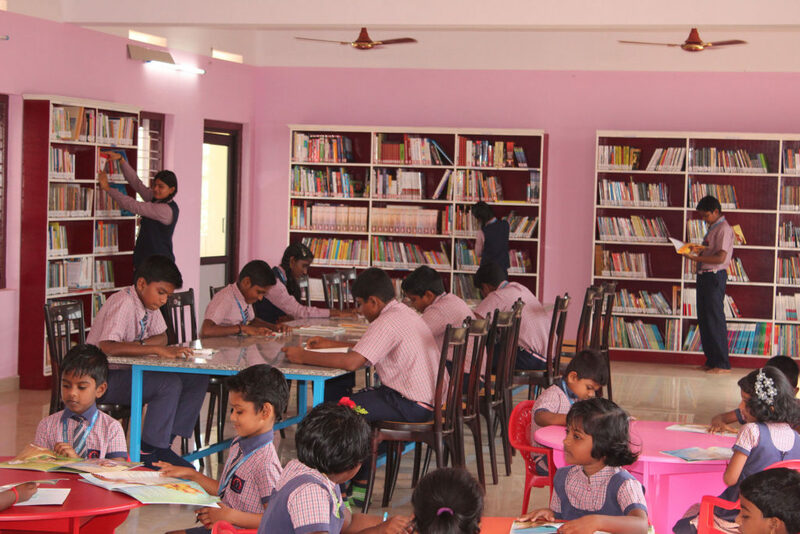 Ample time is provided for the students in the school time table for study in the library as well as for borrowing books. All staff and students are members of the library. Replaced at the Cost by the parent.